During and after the 2016 U.S. election, Americans learned the campaign had been a gold rush for hoaxsters catering to Trump supporters' tastes and beliefs. Some of the best-performing fake election stories outperformed stories by trusted major news outlets. For companies like Facebook and Google, it was a wake-up call to crack down on fraud; for Democrats, it suggested voters had been tricked and the election was a sham; and for President Donald Trump and his supporters, "fake news" became an epithet to use against journalists whose reporting they didn't like. In a Pew Research Center study in December, 2016, Americans acknowledged that fake news stories caused "a great deal of confusion" in the election. Most were confident in their ability to spot fake stories, but about one in four acknowledged that they had also shared stories that they knew at the time or discovered later were fake. 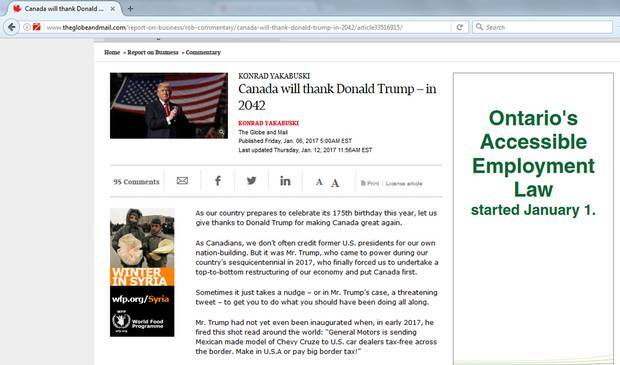 On The Globe's live news desk, telling real breaking news from the fake stuff has been an important part of my job as a digital editor. Discerning the truth is tricky enough as it is with the usual hazards of rumour, incomplete facts, spin and simple misunderstandings; hoaxes make it even harder. 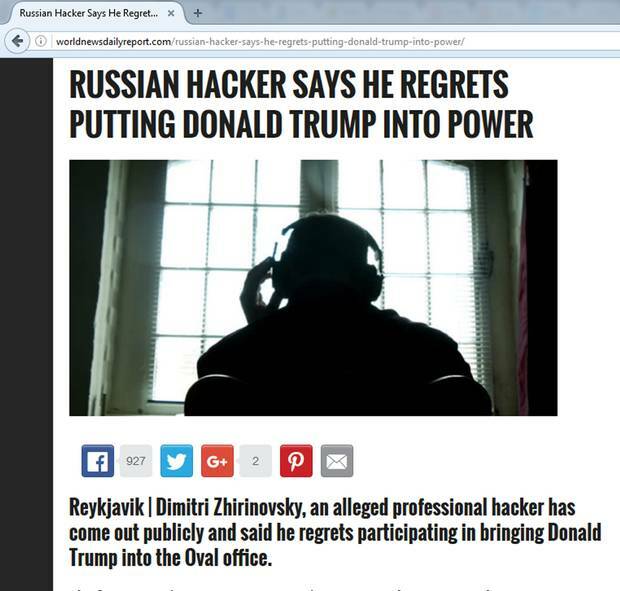 Disinformation for profit: Craig Silverman, the news media editor at BuzzFeed, has documented dozens of examples of for-profit hoax sites, based in Eastern Europe and elsewhere, who engineered U.S. election coverage that would be widely shared on Facebook so they could reap digital advertising revenue. Disinformation for political gain: Rulers from Julius Caesar to Joseph Stalin have used biased state media to charm their allies and confuse their enemies. Until recently, we'd just call that propaganda, but in the current context, "fake news" often means something more specific: state-funded fraudulent websites set up by one country to sow confusion in another. 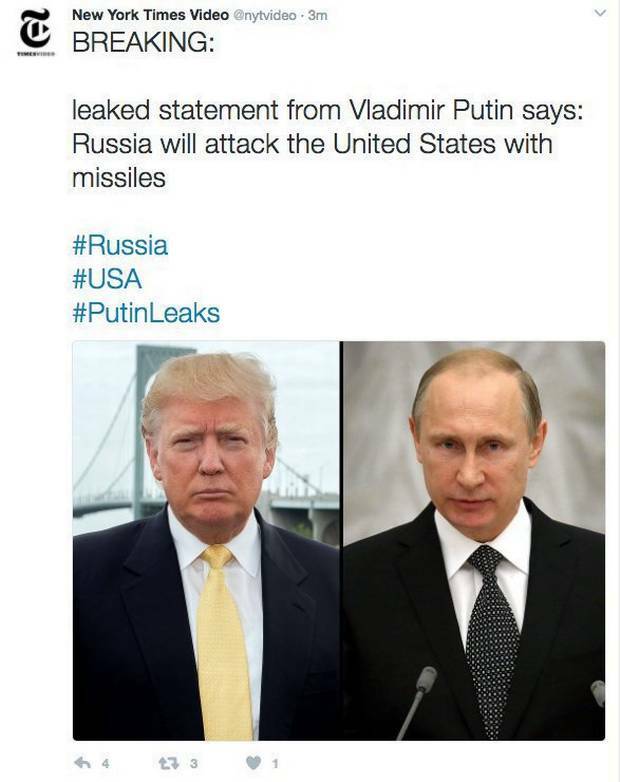 Russians call it dezinformatsiya, or disinformation. 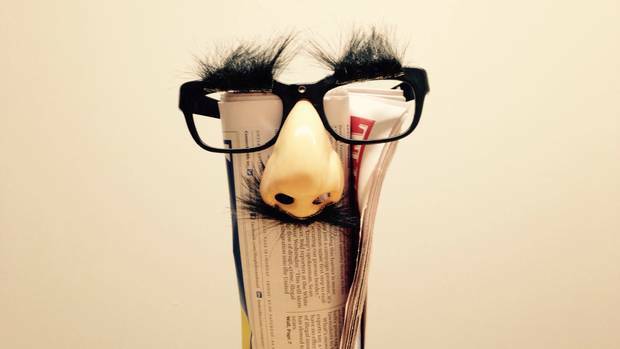 Disinformation for crime: Hackers can sometimes gain access to the websites or social media accounts of reputable news outlets and disseminate fake stories. Though they may be motivated by profit or politics, sometimes it's just to sow confusion for the hell of it. 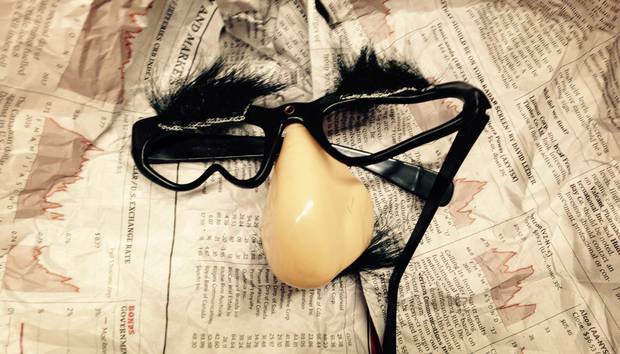 Viral pranks: Even without nefarious motives or illegal tactics, individuals or group can spread hoaxes for fun, falling somewhere in the no-man's-land between fake news, pranks and publicity stunts. Consider "Golden Eagle Snatches Kid in Montreal," a video created by three Montreal animation students in 2012 as a class project. Uncritically reporting a hoax as fact: If a well-crafted hoax spreads widely enough, credible news outlets can boost the hoax's credibility if they report it without checking the facts or including the usual caveats that it might be only rumours. Stories from satire sites: Websites like The Beaverton are intentional news parodies, and different sites have different standards for labelling their content as such. But readers who don't know it's satire may mistake it for fact, even if it's clearly labelled as satire (especially if that labelling isn't as clear when stories get shared on Twitter or RSS feeds). Satirical stories from regular news sites: Opinion and feature writers in mainstream media will sometimes use satire or fanciful hypothetical examples to make a point. Check to see if it's labelled as satire or opinion. Honest reporting mistakes: Even the best reporters sometimes get things wrong, report things as fact before they're confirmed or get spun by sources who aren't telling the whole truth. But if there's no intention to fool anyone, it's not fake news. 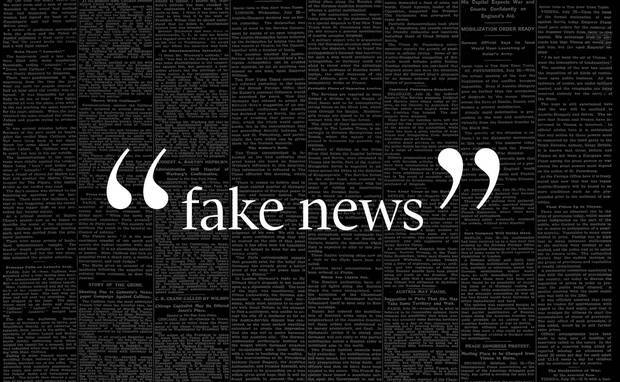 Critical reporting to determine if something is a hoax or not: If a viral story seems too good to be true, news organizations can still report on what the public knows so far with skepticism and caveats as they try to figure out what's really going on. Journalism you don't like: Enough said. 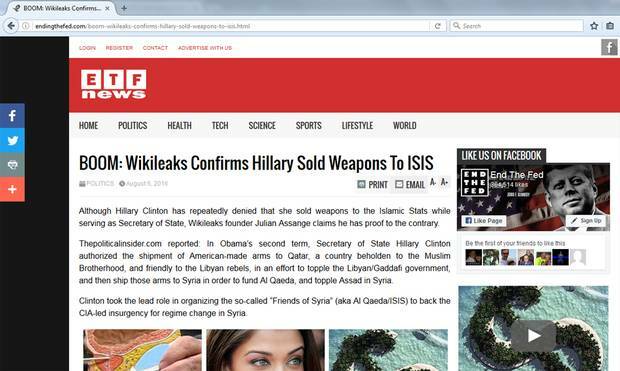 Google and Facebook have begun testing out new tools to help users better spot and flag fake news sites. Google is now barring hoax sites from its advertising platform and is testing fact-checking labels in Google News, and Facebook implemented a new system for users and fact checkers to report suspicious stories. Those tools aren't available in Canada yet, though the companies say they will be soon. But the most reliable media-literacy tool is your own common sense. Here's a checklist that can help. Do you trust the source of the information? It helps to keep a mental checklist of the organizations you trust and check often (like this one, we hope); the ones you don't check often but know by reputation (local newspapers or TV stations outside your community or country); the ones you know are parody sites; partisan or gossip outlets that you don't trust most of the time; and the sites that you know purport to be real news but aren't (i.e. known fake-news-for-profit sites). Once you exclude those, you're left with the outlets you don't know about and don't know if you can trust. That's where the hardest work of verification happens. Even it looks sort of like a news outlet you trust, you should still check for signs that it might be a hoax. Is it written in a strange way that you wouldn't normally expect from that source? Check the URL and the design of the website for signs of misleading mimicry; maybe it's a URL that's sort of like the one you know, but with an unusual country code or a typo in it. As with websites, some Twitter accounts mimic mainstream media by switching letters that are hard to tell apart (@globeandmail versus @globeandmai1, for instance) or using a plausibly similar-sounding name. Look for Twitter's blue verification checkmark to make sure the account is real. If you don't know the source, look around for clues to whether it's reliable or not. a) If it's a Twitter account, how many followers does it have, and is it a verified account? b) If it's a webpage, do the URL, main page and "about" page look credible? If the source seems like a legitimate news organization, it's time to look around a bit at the rest of the media landscape. 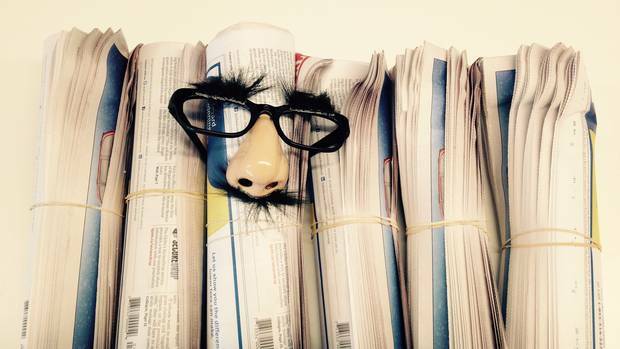 Is the information also being reported by news outlets that you do trust? How many, and which ones? Do the details of their report match up with the information you saw originally? Are they citing reputable, named sources? Okay, so you think you have an idea of what fake news is and how to recognize it. Let's test that. Don't consider it cheating if you Google these stories to see if they're legitimate or not; that's part of the exercise. We're not going to link to any of the stories shown (if they're fake news, they shouldn't get the traffic), but you can enlarge the screenshots provided to get a closer look. 1 It’s Jan. 22, 2017, and you see this tweet. What is it? Answer: Fake. The Twitter account, @nytvideo, is a real New York Times account, but something’s off. If Russia were planning to attack the United States with missiles (which is pretty unbelievable, and which they so far haven’t done), why would the Times break that story on their video Twitter account and not the main one? Also, New York Times tweets are typically written in full sentences, but this tweet doesn’t capitalize the first letter or end on a period. It also puts “breaking” and the hashtags on their own lines, which Times social media editors don’t usually do. The reason it looks so strange is because hackers wrote it, hijacking the account and writing subsequent tweets attributing the attack to the hacker group OpenMine. The Times deleted the tweets. 2 You see this story appear on your Facebook feed. What is it? 3 You see this story on globeandmail.com. What is it? Answer: Satire. Konrad Yakabuski wrote a column set 25 years in the future, so if you read the first paragraph and say, “Wait! Canada’s only 150 years old!” you didn’t read the headline and missed the joke. 4 It’s Dec. 29, 2016, and you see this tweet. What is it? Answer: Fake. 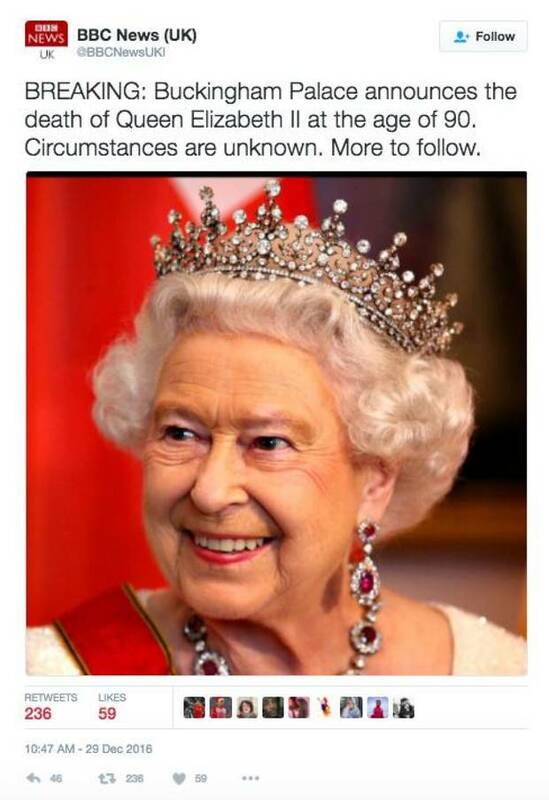 First of all, if the Queen was dead, you’d be hearing about it in a lot more places than just this one tweet. Second, while the BBC’s U.K. news feed is named “BBC News (UK),” its handle is @BBCNews, not @BBCNewsUKI. The superfluous extra “I” at the end, which a reader in a hurry might mistake for a parenthesis, is a giveaway that the account’s not real. 5 You see this story on Twitter. What is it? Answer: Fake. The source may be legitimate, but the photo is fake. 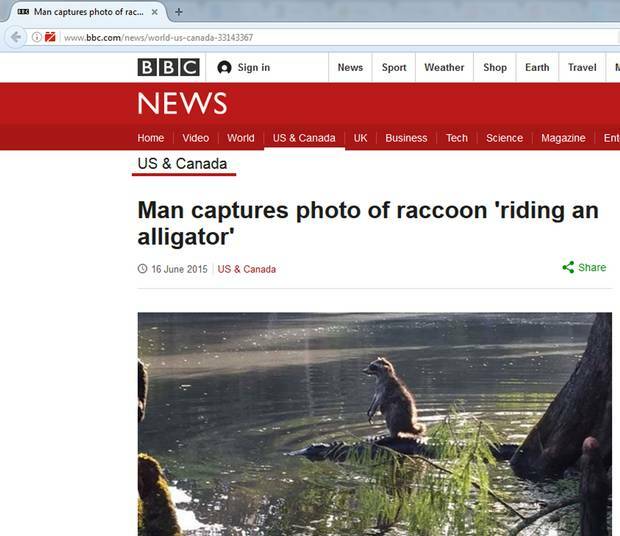 The raccoon-riding-an-alligator story went viral in 2015, spreading from Florida media to global news outlets like the BBC. But it all turned out to be a hoax by American performance artist Zardulu, who staged the photo with taxidermied animals. 6 It’s Sept. 29, 2011, and you see this tweet. What is it? 7 A friend e-mails this story to you. What is it? Answer: Real, improbably, though the health benefits of vaginal jade-egg use likely aren’t. 8 Your aunt sends you this story on Facebook. What is it? Answer: Fake. The story is top-to-bottom false, misidentifying the gunman in the March 28 Capitol Hill shooting and quoting a fake analyst blaming the violence on Donald Trump supporters. 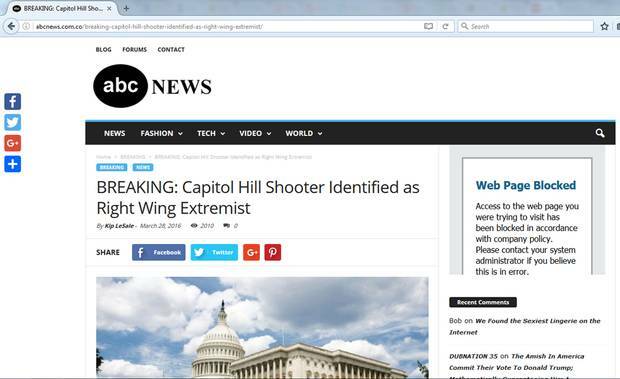 The site is trying to look like ABC News, right down to the logo with “ABC” in a black circle, but it’s not a good enough imitation. The URL is wrong, too; the real ABC is abc.go.com, whereas this is abc.com.co (the .co is a country code for Colombia, whose domains are easy to register). 9 You’re skimming the headlines on RSS reader Feedly and see this. What is it? Answer: Satire. “The Borowitz Report” is a regular satirical column in The New Yorker. On the magazine’s website, the story itself is labelled “satire from The Borowitz Report” above the headline, and the column’s main page has a subheading saying “not the news.” But in Feedly, stripped of the context the New Yorker website provides, a reader unfamiliar with Mr. Borowitz’s work might miss the warnings that it’s satire. 10 Somebody sends you this story over Facebook Messenger. What is it? Great job! Refresh the quiz here if you want to try again or share it with your friends. Not bad, but you missed a few. Refresh the quiz here if you want to try again. Wow, you missed quite a few. Refresh the quiz here if you want to try again. Simon Houpt: Will fake news give Ottawa an excuse to help media solve their financial woes? 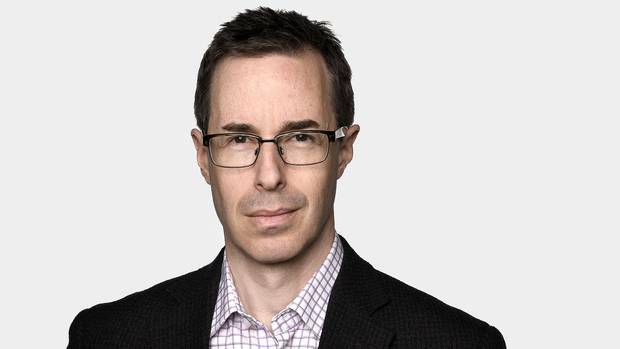 If Canadian news outlets get the massive federal bailout that a new think-tank report is calling for, they might want to send a thank-you note to Donald Trump. 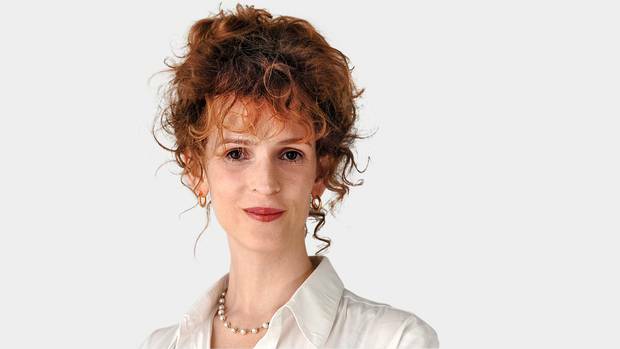 Tabatha Southey: The term ‘fake news’ is quickly losing meaning in the Trump era If I could invest in one thing heading into this administration, it would be scare quotes. America is going to need a lot of them.